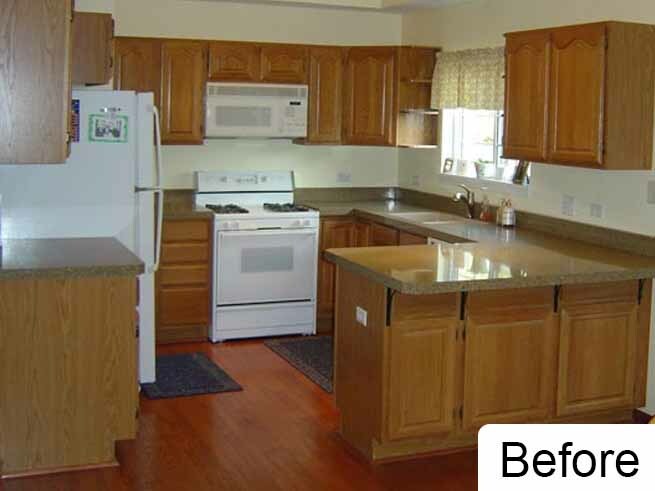 Do you want to update your home without spending a lot of money to tear out the old cabinets and replace them with new cabinets? 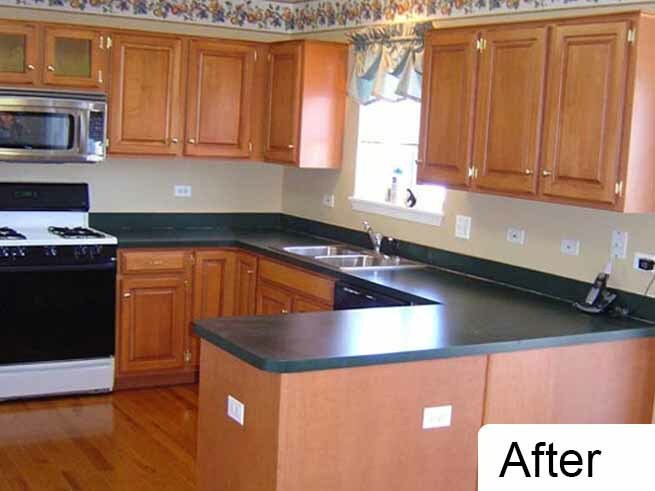 Cabinet refacing in Chicago is a great way to improve the appearance of your kitchen, bathroom, or any other room that has cabinets in your home. 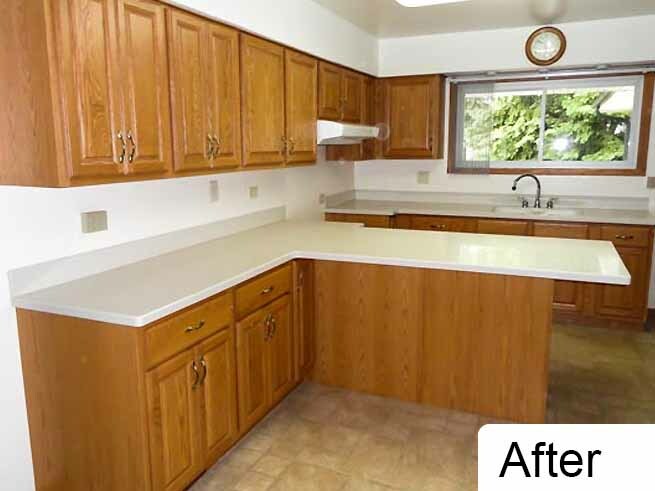 Over time, regular wear and tear causes cabinets to lose their shine, and daily use leaves scratches, dents, and broken pieces. 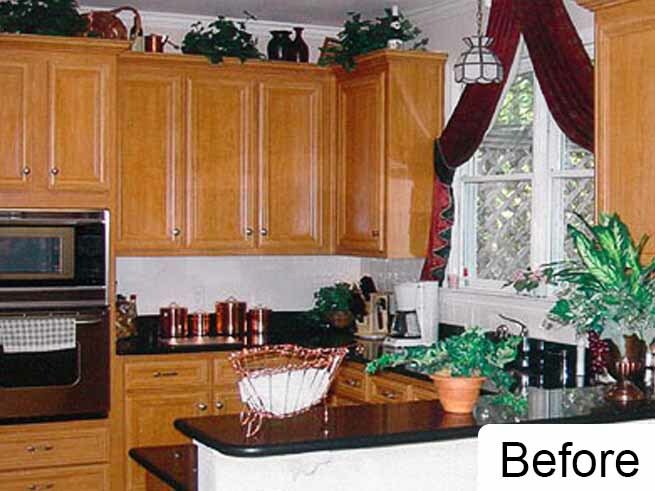 Even if your cabinets are still in good shape, an outdated style design might make your kitchen look old. 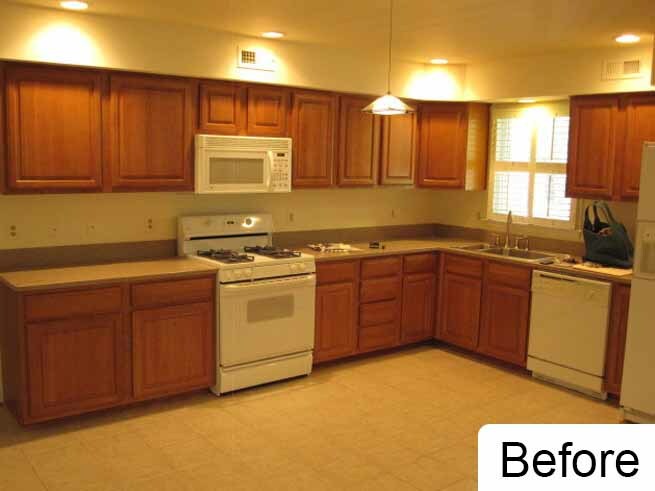 Just because your cabinets are looking old or worn out, it doesn't mean that they need to be completely replaced. 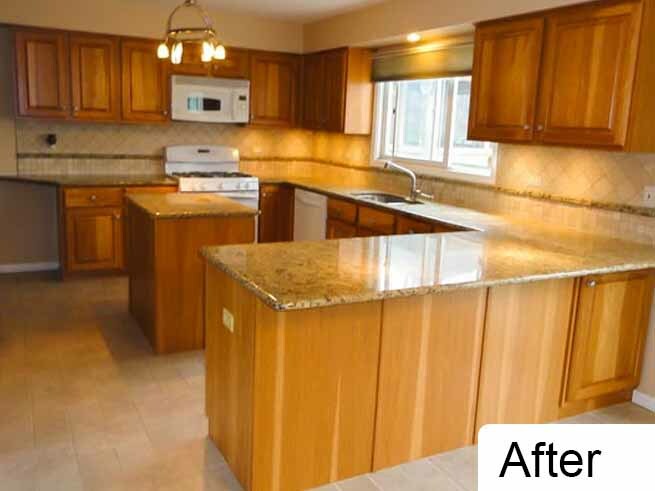 Here at Custom Cabinets Chicago, we offer cabinet refacing services which allows you to save money and improve the appearance of your home at the same time. 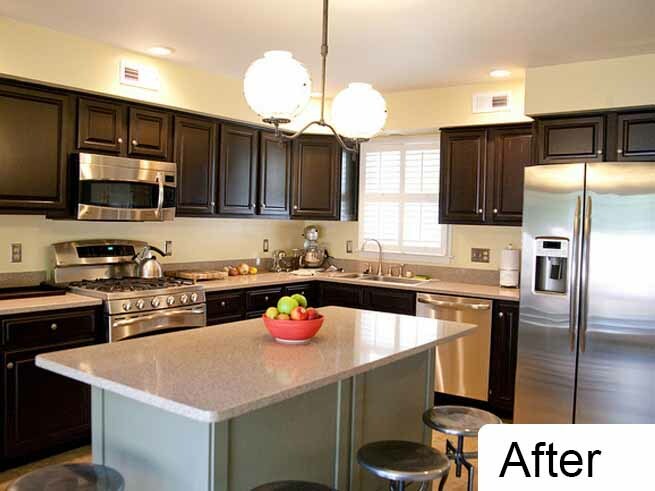 If you are looking for a way to save money, then you should consider the option to reface your current cabinets instead of tearing them out to replace them. 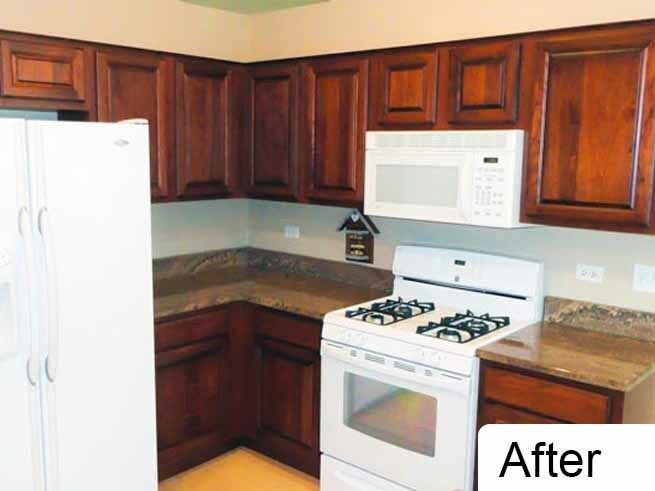 We can take a look at your current cabinets to see if they can be refaced, and provide you with an estimate for the project. Some of the requirements that we are looking for are the quality of the wood and the design layout of the cabinets. If the wood is strong and in good condition, then it makes sense to utilize the wood that is already in place. 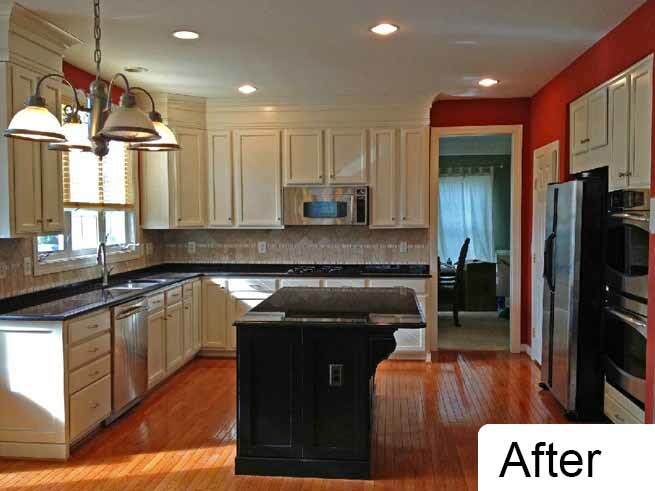 We can use the structure, and put new faces on the cabinets to make them look brand new. 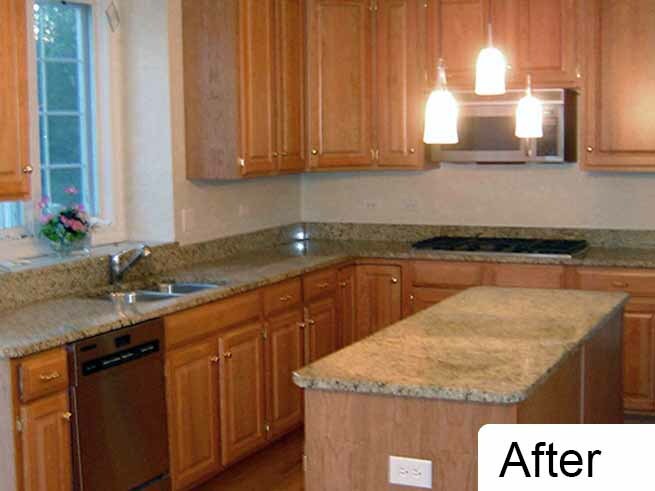 At Custom Cabinets Chicago, we offer new cabinet installation as well as cabinet refacing. 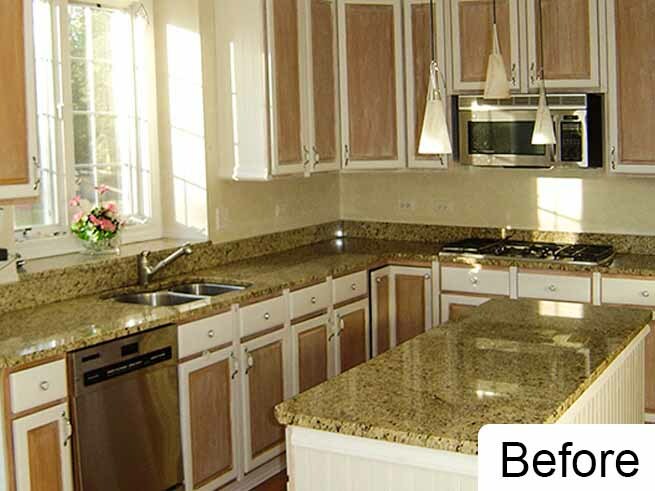 Our goal is to make sure that you get the kitchen of your dreams, and we will help you achieve the right design style in the most affordable way possible. 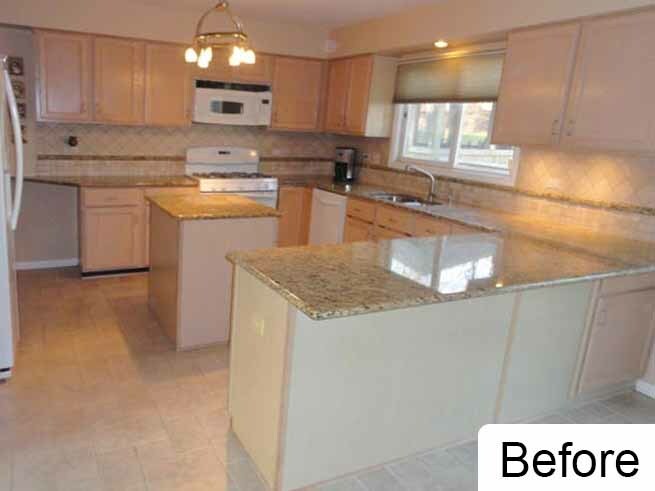 It is amazing to see the transformation that can occur with our cabinet refacing techniques, and we can make your kitchen or bathroom look as good as new. 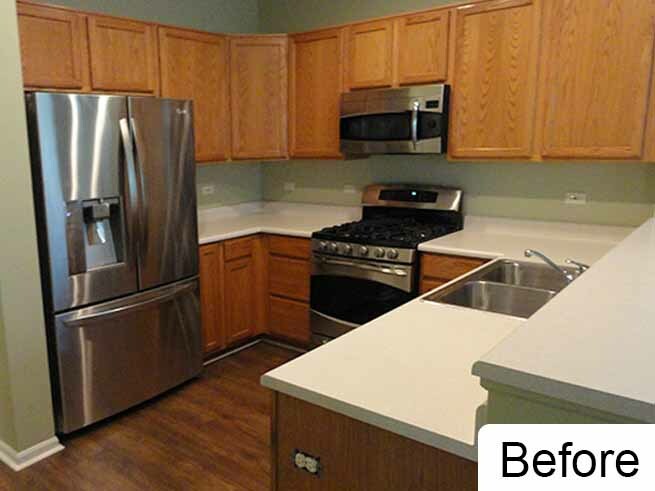 Cabinet refacing in Chicago includes several steps, in order to upgrade your cabinets and make them look better than ever. First, we will remove the cabinet doors and prepare the wood for new finishes. 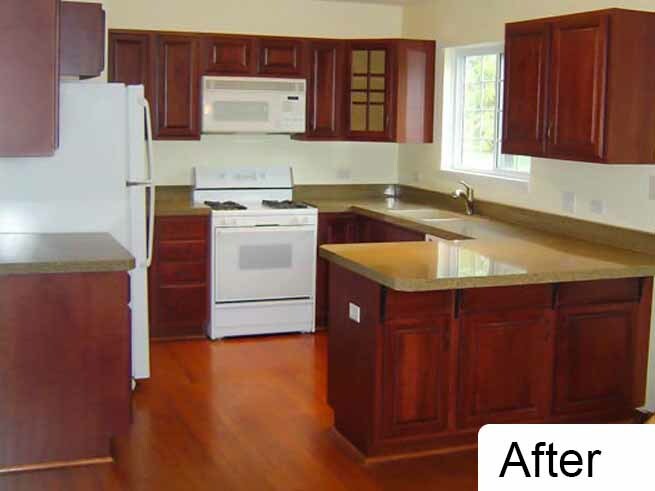 This process includes removing finishes that were previously applied to the wood, such as stain and paint. 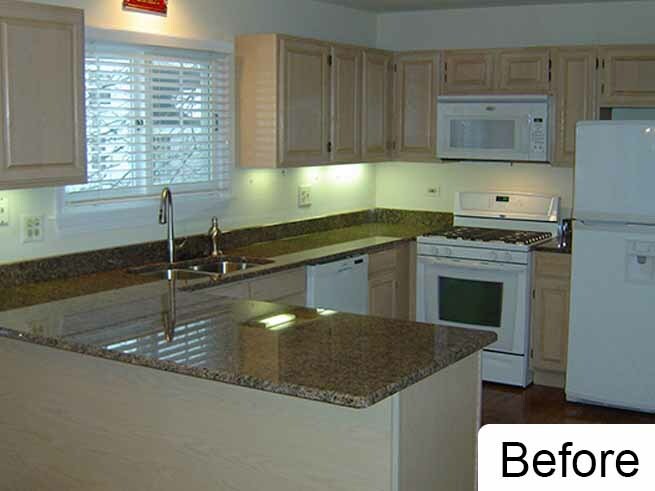 Once the raw wood has been exposed, we can add any type of coating that you desire. You can choose a specific paint color that matches the rest of your home, or you might choose a tone that you prefer for the stain. 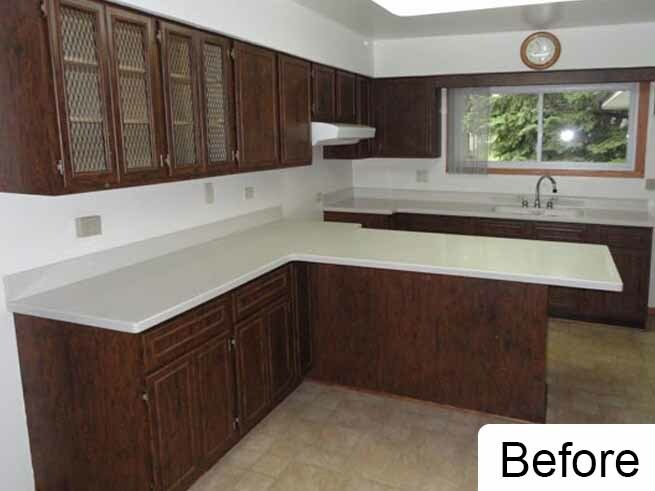 Not all types of wood can be stained, so we will help you to understand the options that are available with the type of wood that your cabinets were made with. 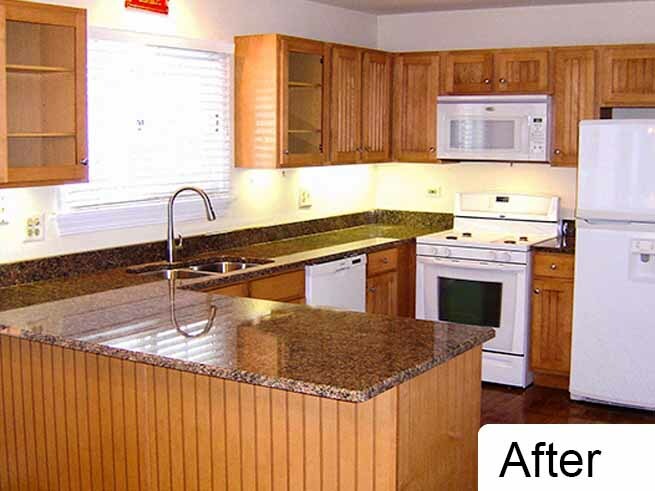 Sometimes, we might add additional pieces of wood to your cabinets, in order to give them a new style. 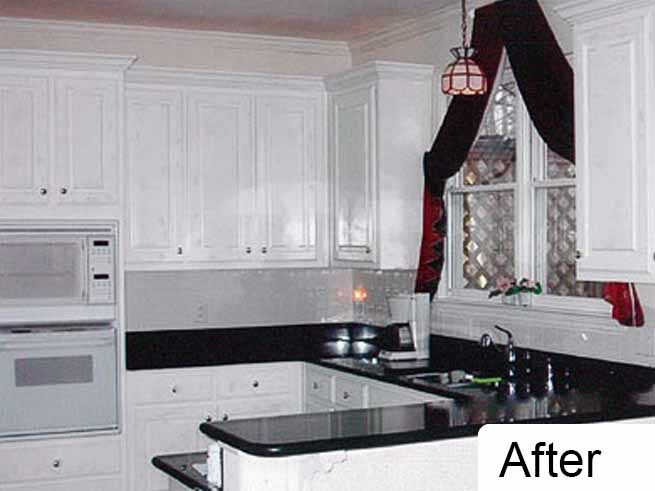 Trim pieces, panels, or other design elements can create a unique style, and you won't recognize that the original cabinets were used. 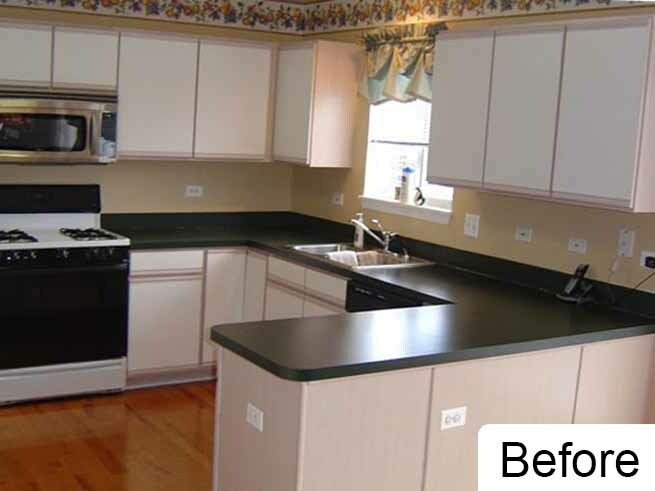 These techniques create a completely different style, so that your cabinets appear brand new. 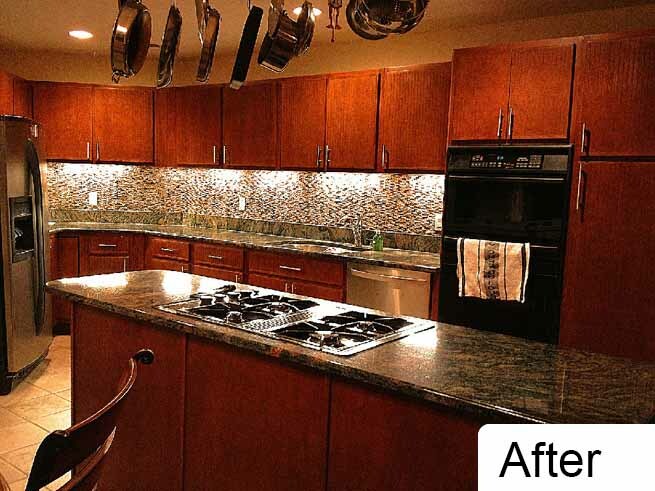 If you want a drastic design change for your cabinets, then we will likely suggest cabinet refacing because you will have more options to choose from. 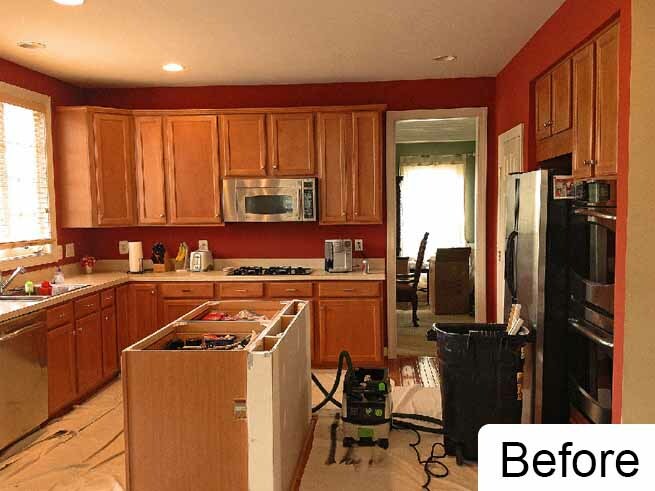 But, there are situations where it might make sense to use cabinet refinishing, which doesn't change the shape or design style of the cabinet doors, but you can change the color or stain of the wood. Along with cabinet refinishing, you might also select new hardware, which will help to upgrade the appearance of your cupboards. 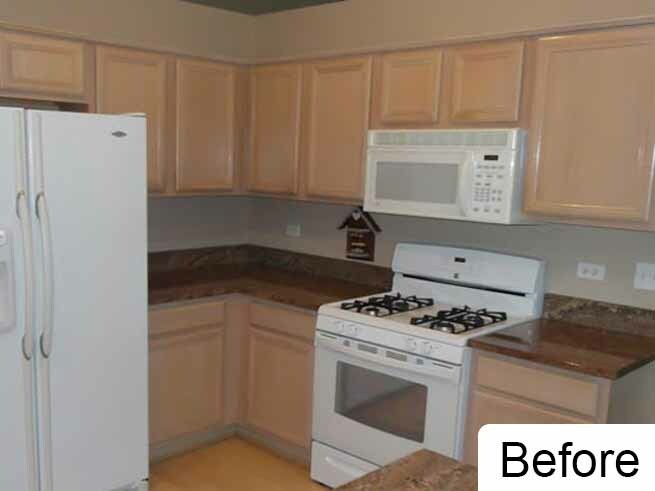 Our goal is to make sure that you are completely happy with the finished cabinets, and we will help you determine the best cabinet services that match your needs. We are always available to answer your questions and help in any way possible. 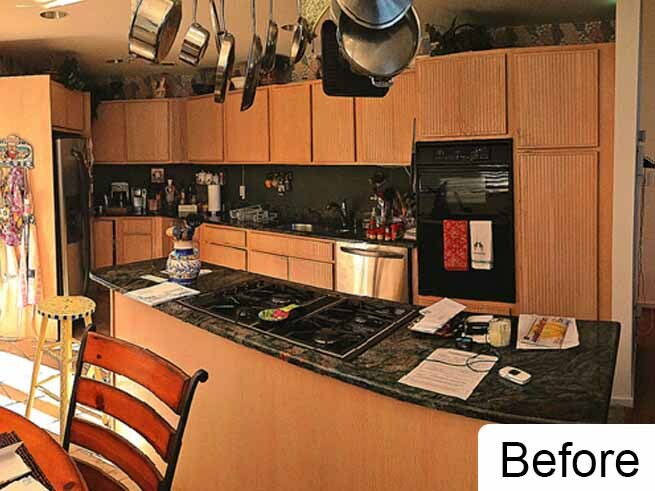 Contact us today to learn more about the various services that are available, and we will help you create the kitchen of your dreams! 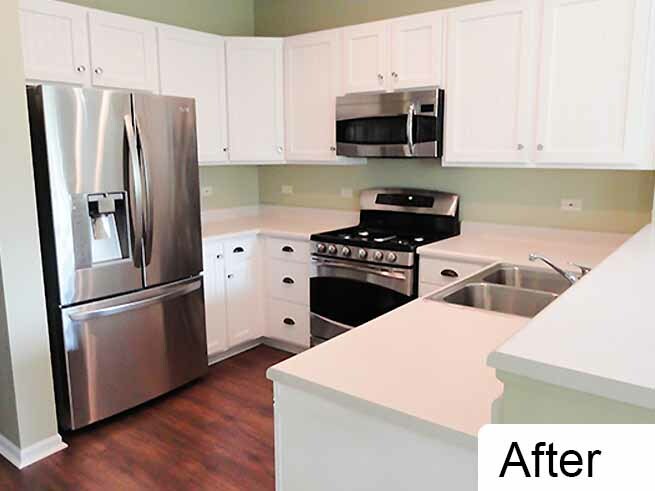 © 2019 Chicago Custom Cabinets Inc.